The Indian women's cricket team, led by Harmanpreet Kaur will begin its World T20 campaign against New Zealand on November 9 at the Providence Stadium in Guyana. 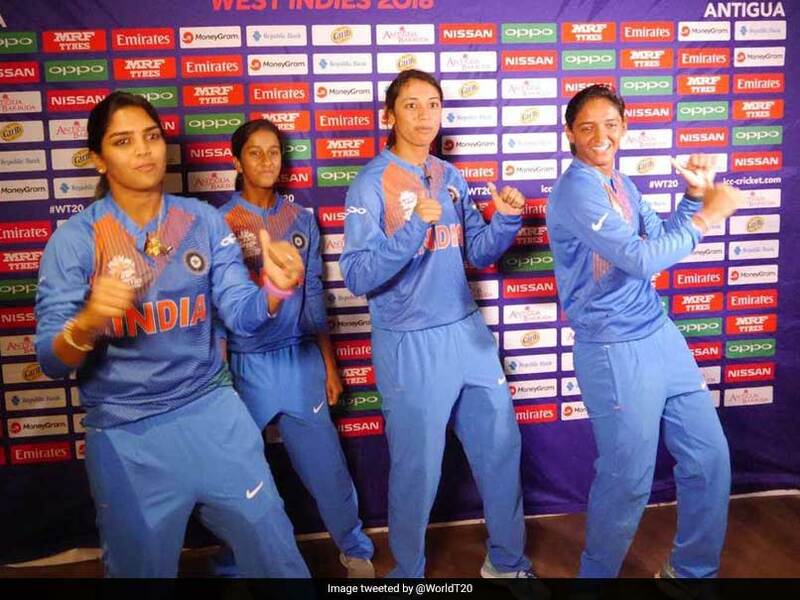 Ahead of the tournament opener, Harmanpreet Kaur, Smriti Mandhana, Veda Krishnamurthy and rising Indian star Jemimah Rodriguez were spotted showing off their dance moves in their national team jersey. The official Twitter handle of ICC World T20 posted the pictures of the same and said the Indian women's team showed off their best moves. Team India have never won a Women's World T20 with their best performance coming in the 2009 and 2010 editions, when they were knocked-out in the semi-finals. Harmanpreet believes that there will be a lot of expectation on the Indian team after its runners-up finish in ODI World Cup and that her side will aim to be at her best during the forthcoming tournament. "The ICC Women's World Twenty20 will be a competitive tournament with some tough league matches early on and no team can take it easy at any stage. Naturally, expectations will be high from our team after our World Cup final appearance last year and we aim to be at our best during the tournament," Harmanpreet told the International Cricket Council (ICC). India are placed along side Ireland, Australia, New Zealand and Pakistan in the Group B of the Women's World T20.